We’ve advised our customers before that it may be time to move away from Internet Explorer to an alternate browser, such as Google Chrome, in order to avoid security risks and take advantage of the latest browser technology features. While it’s not necessarily an easy task to scrap one entire browser in favor of another (especially for larger long-term care organizations that still utilize Windows XP), we want to strongly encourage providers in our industry to, at a minimum, discontinue use of Internet Explorer version 8 immediately. Hackers love to attack Microsoft products and IE 8 has been subject to several high-profile security flaws over the past few years. In April, even the Department of Homeland Security got involved, advising users to quit using Internet Explorer altogether until a security issue could be patched by Microsoft. 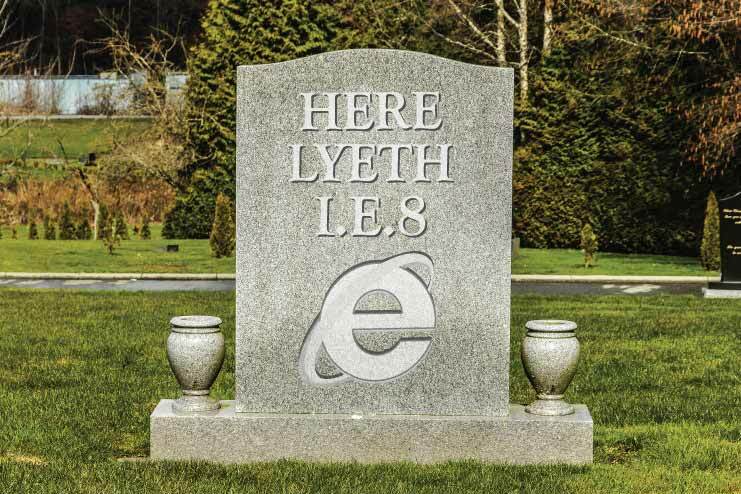 With all the focus on IE by hackers, and with IE8 support already discontinued by Microsoft, many have pointed out that it’s just a matter of time until disaster strikes those who refuse to upgrade from IE8. The internet has brought us a long way in the past several years. The truth is, though, that we could all be doing more with it. We won’t bore you with detailed explanations of the technology, but old browsers are holding back the web in many ways. Both companies and individuals could have better access to information if we weren’t all held back by technology that’s gone the way of the dodo bird. The vast majority of the world has stopped using both Windows XP and IE8, which is a good thing. It’s been six years since the launch of IE8 and now most of the world has moved on to better technology, with current usage down to just 10% worldwide. That’s still a disturbingly high number, however, in an era of modern web standards. Many are hoping IE8 will die a quick death this year, so that we can all experience a better web. Many major websites and services have already stopped supporting IE8. For example, Google dropped IE8 support in late 2012. The biggest reason? Supporting an outdated browser saps resources that can be better invested in new products that fully utilize new browser technologies. In other words, web software providers want to look to the future, not to the past, in order to best serve their customers. On April 8, 2014, Microsoft discontinued support for Windows XP. Since IE8 is the most recent version that can be installed on Windows XP and “there will be no more security updates or technical support for the Windows XP operating system,” IE8 users on XP will be stuck on outdated, vulnerable technology. Hint: If you don’t already have a plan for getting off Windows XP, you should be working on one, pronto!